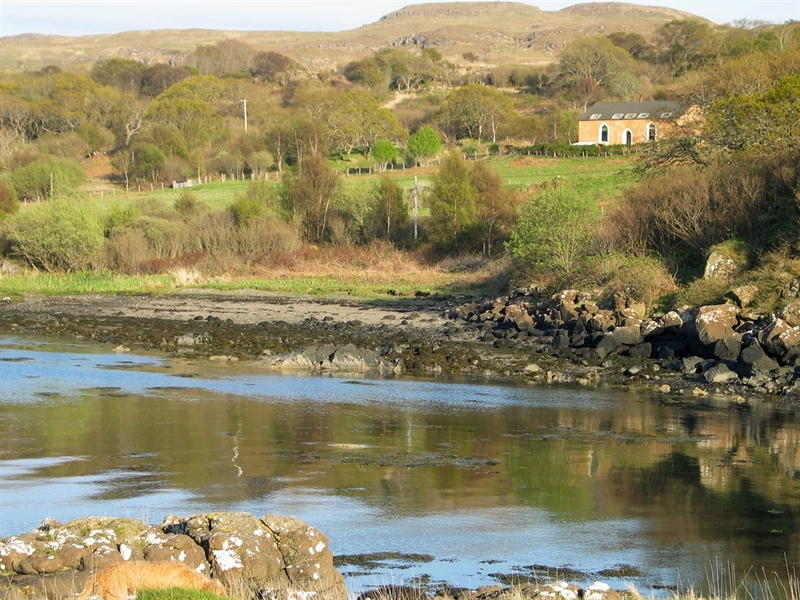 Set in a fantastic position overlooking the shore and mountain, Killunaig is a former church that has been renovated into a welcoming holiday home. 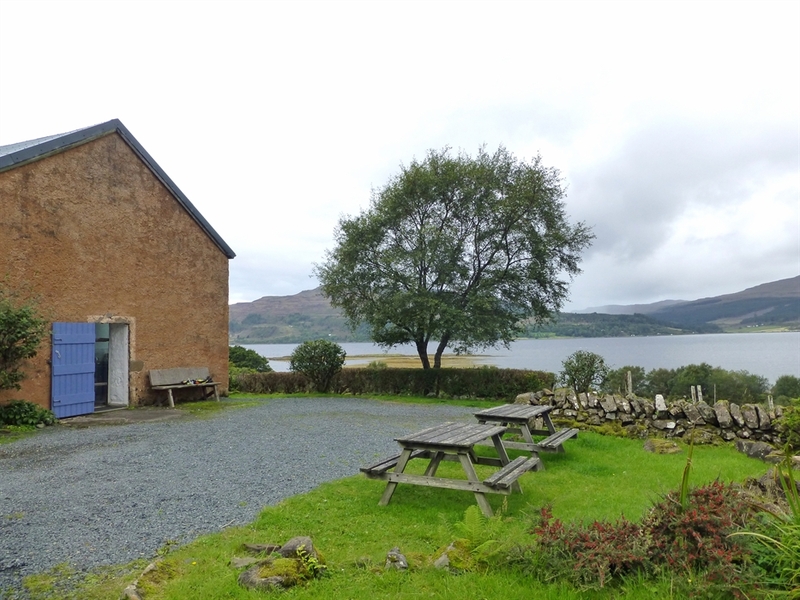 Killunaig Church House is set in the most fabulous position overlooking the shores of Loch Scridain with Ben More, Mull’s highest mountain, as a backdrop. 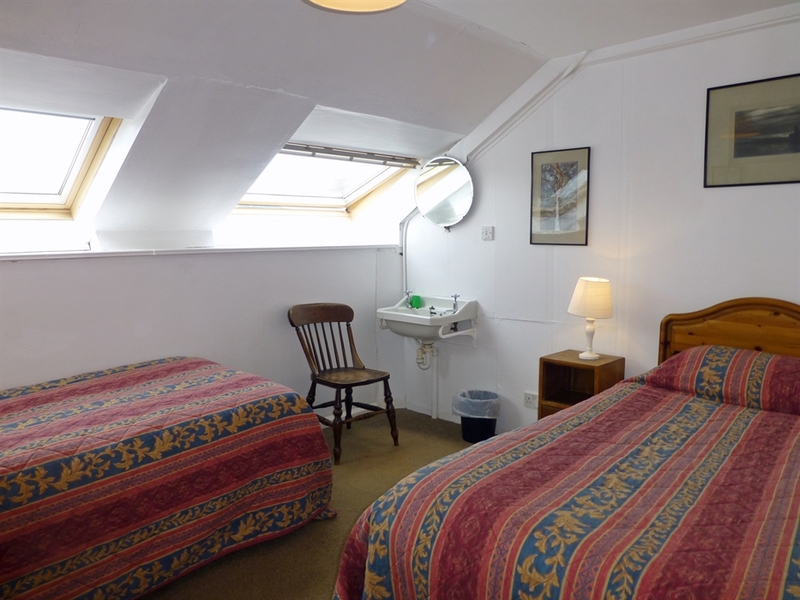 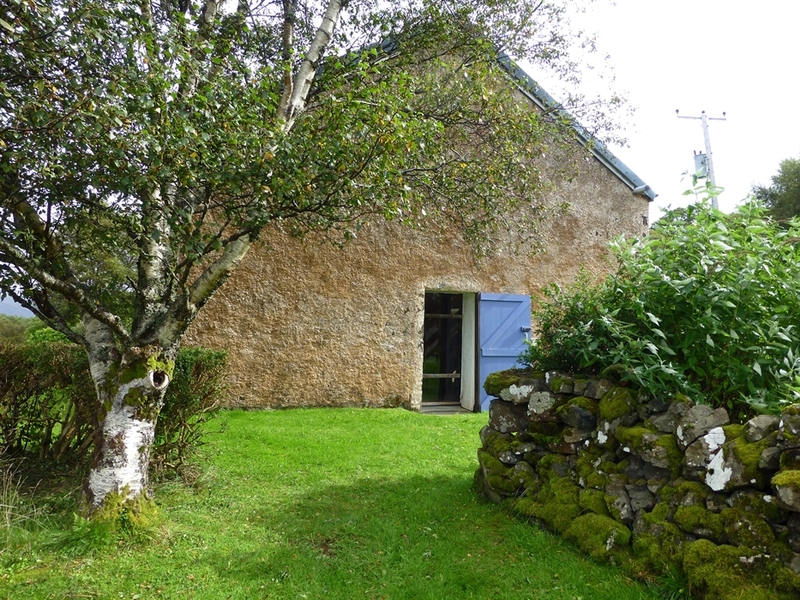 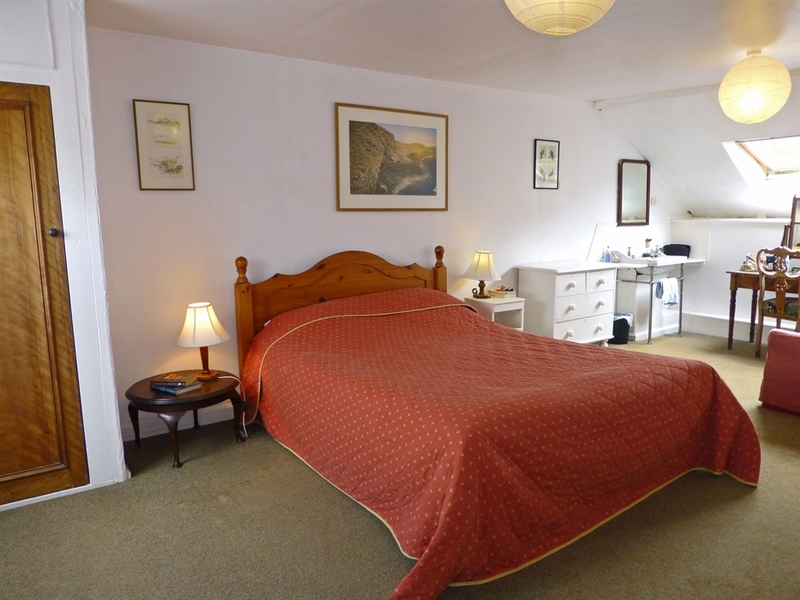 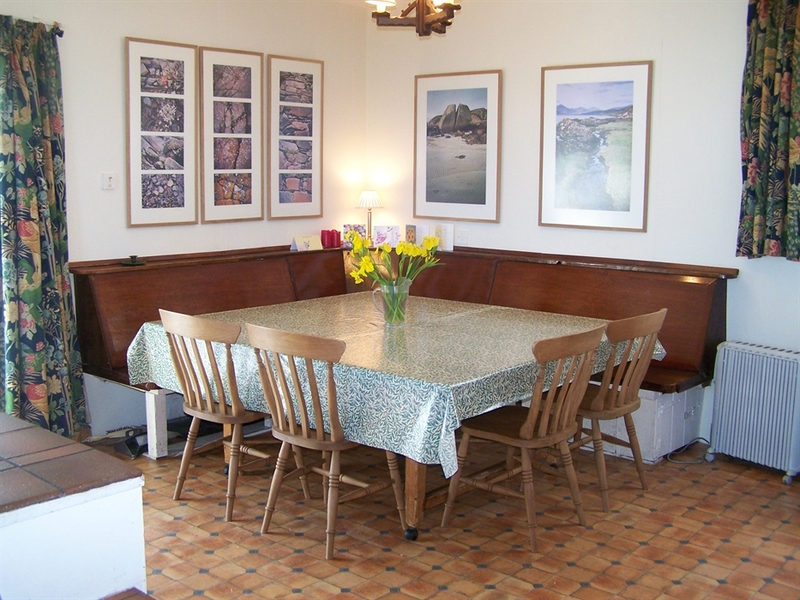 Dating from the mid-19th Century, this delightful former Free Church of Scotland has been transformed into a most welcoming and comfortable self-catering holiday house for up to 10 people. 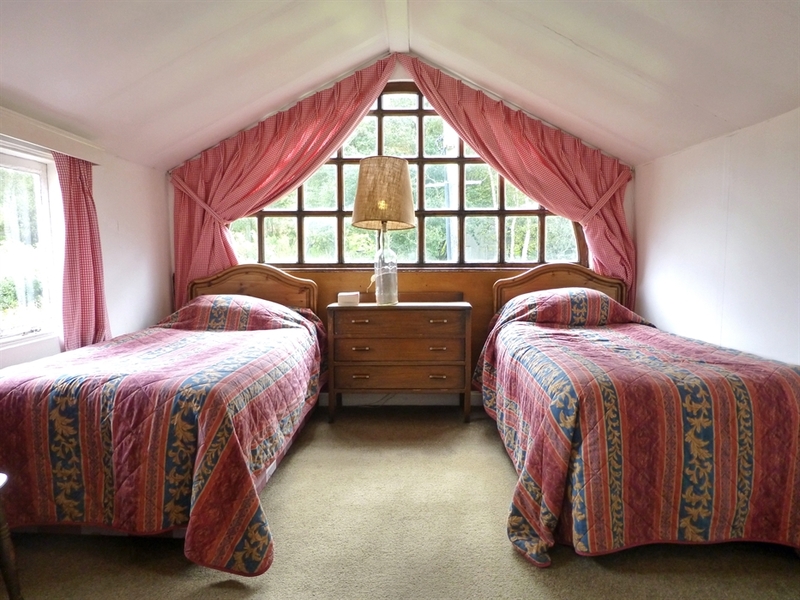 This much-loved Scottish family holiday home is filled with charm and lots of character and the traditional country-living style furnishings add to its homely appeal. 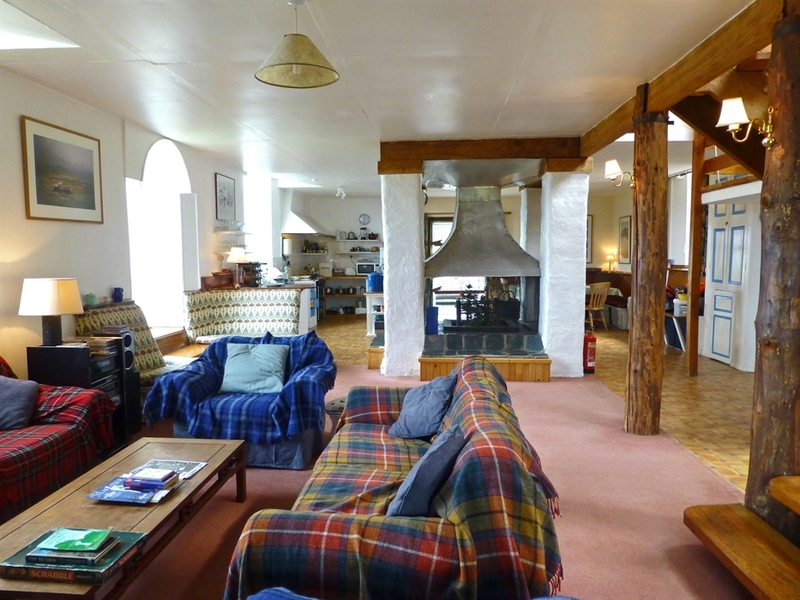 The original floor to ceiling arched windows and large glass doorways flood the house with light and offer spectacular views across the dramatic and ever-changing landscape of mountains and sea. 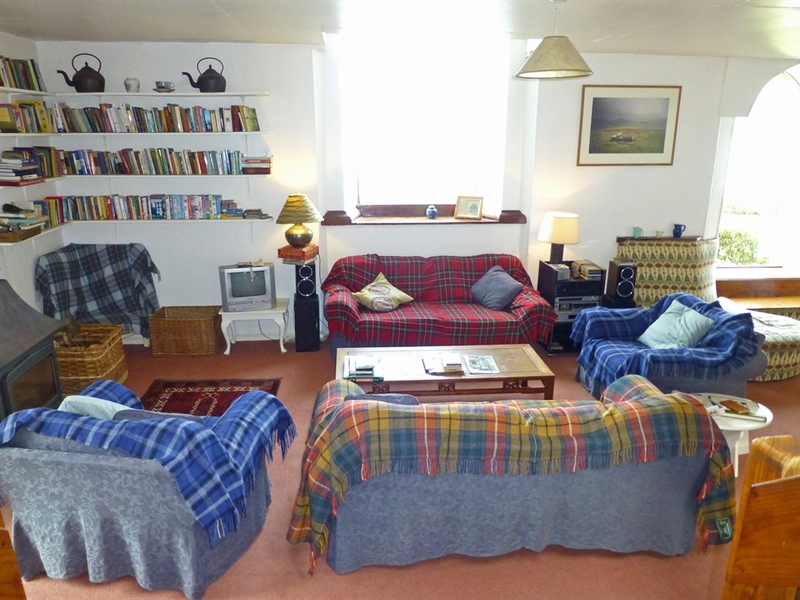 The downstairs open plan living area makes Killunaig Church House a wonderfully sociable self-catering house where friends and family can come together and enjoy relaxed evenings after fun-filled days out and about enjoying all this magical island has to offer. 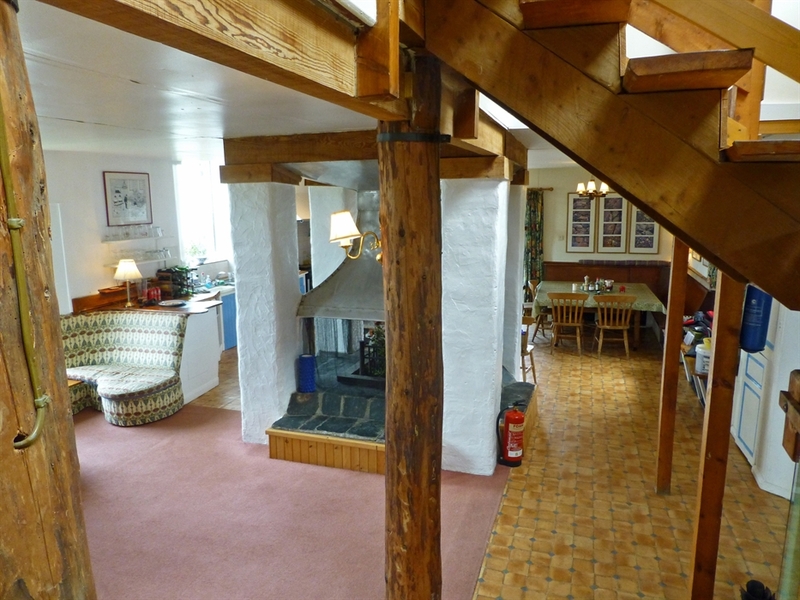 A well-equipped kitchen and large dining table are at one end, while cosy seating set around a wood-burning stove is at the other end. 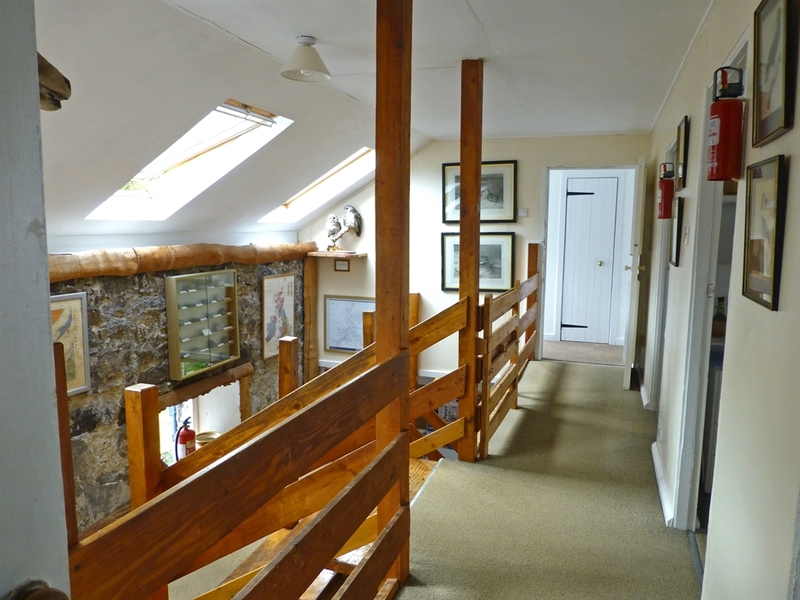 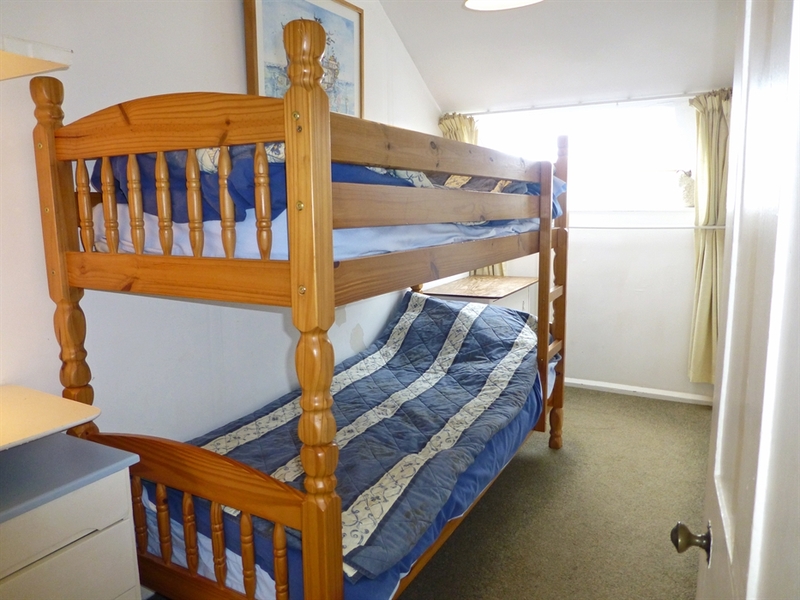 An open wooden staircase leads to the five comfortable bedrooms all of which enjoy glorious views. 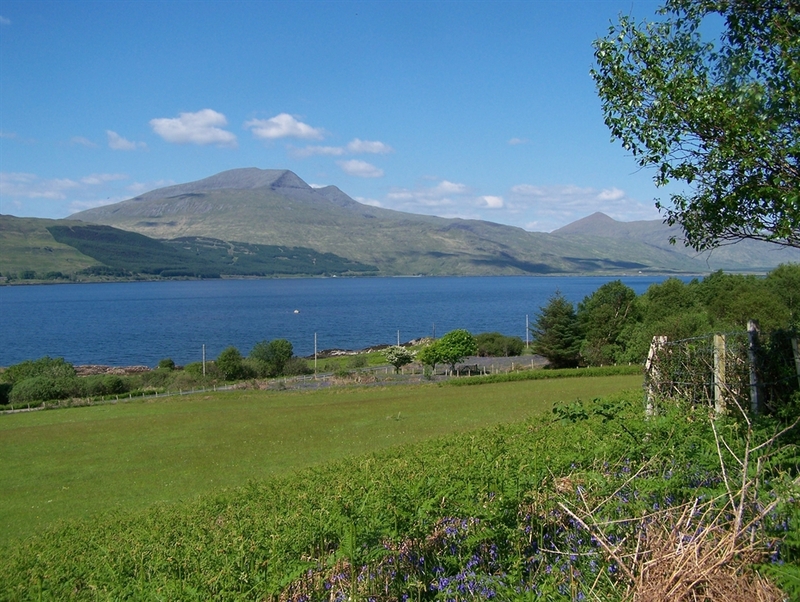 The large enclosed garden is a lovely spot for sitting out and marvelling at the heavenly scenery and a short stroll down the private drive will take you to the edge of the beautiful and historic Loch Scridain where you can enjoy magnificent views along the Ross of Mull, dreamy sunsets, many lovely walks and amazing wildlife. 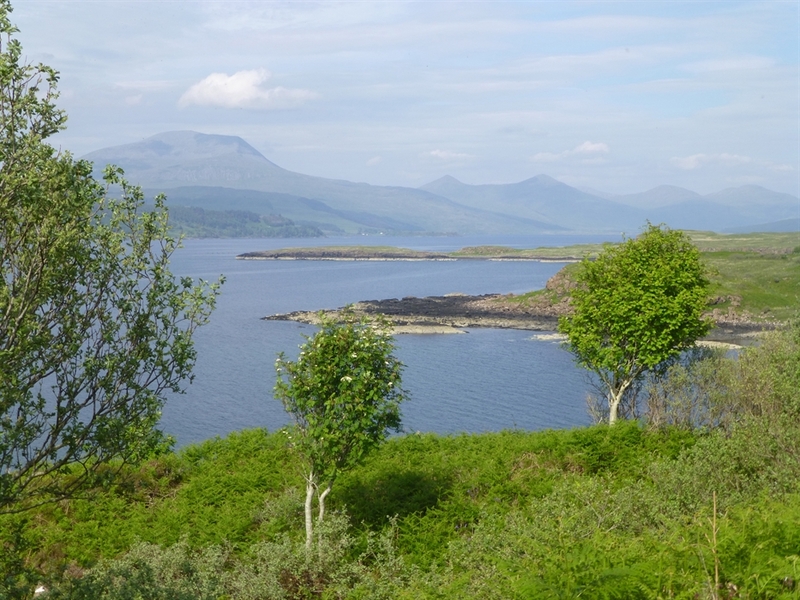 White tailed Sea Eagles are often spotted overhead as well as Osprey and Oyster Catchers. 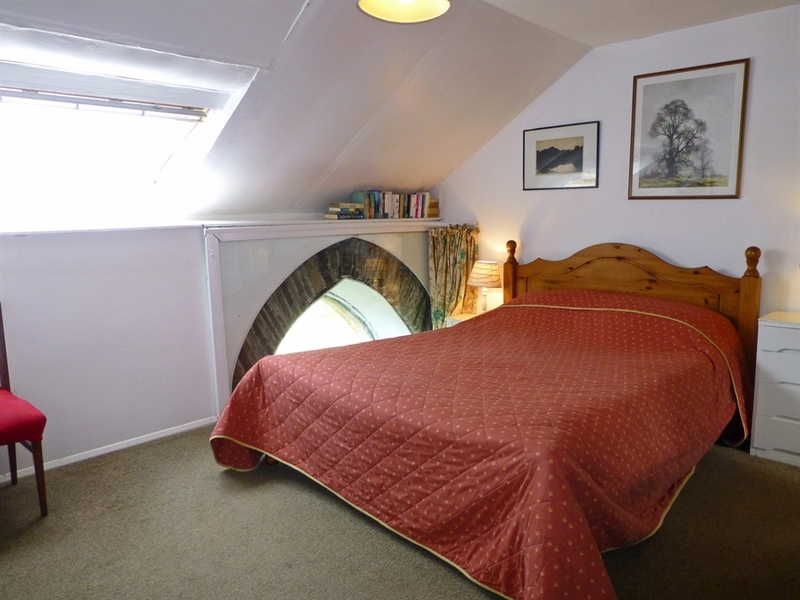 You may even catch a glimpse of an Otter. 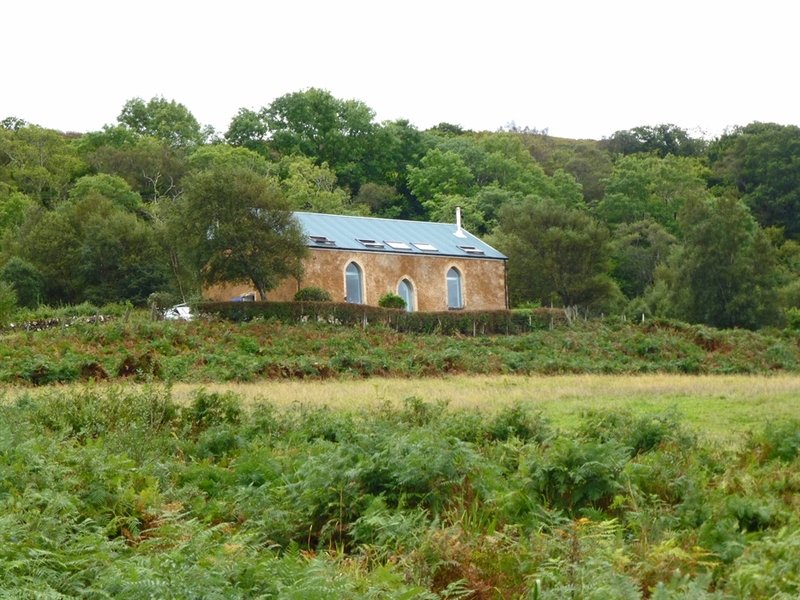 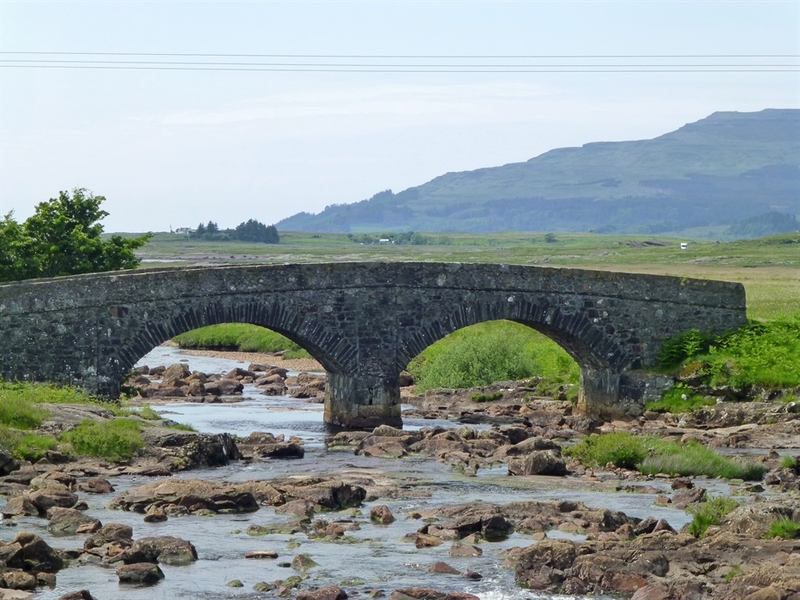 Located a few miles west of the of the small village of Pennyghael on the Ross of Mull, Killunaig Church House is perfected placed for visiting the beautiful Island of Iona and its historic abbey as well as Staffa and the Treshnish islands. 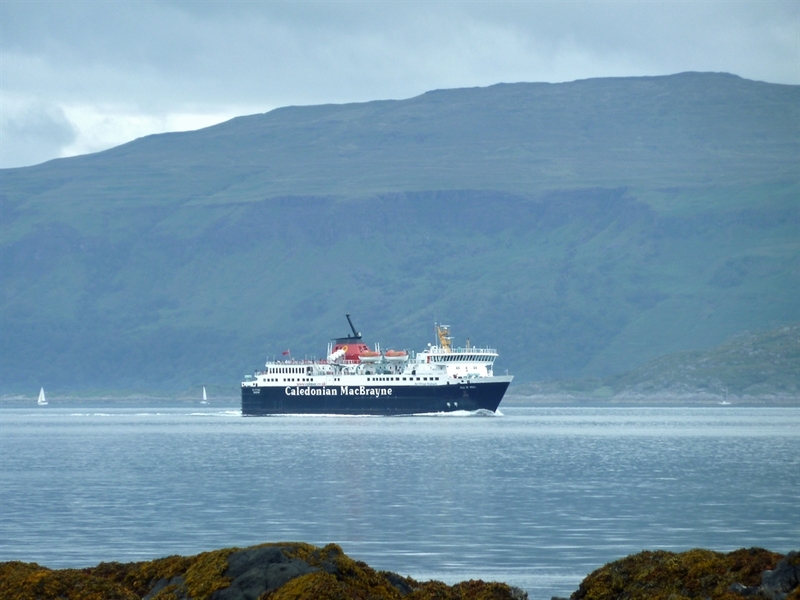 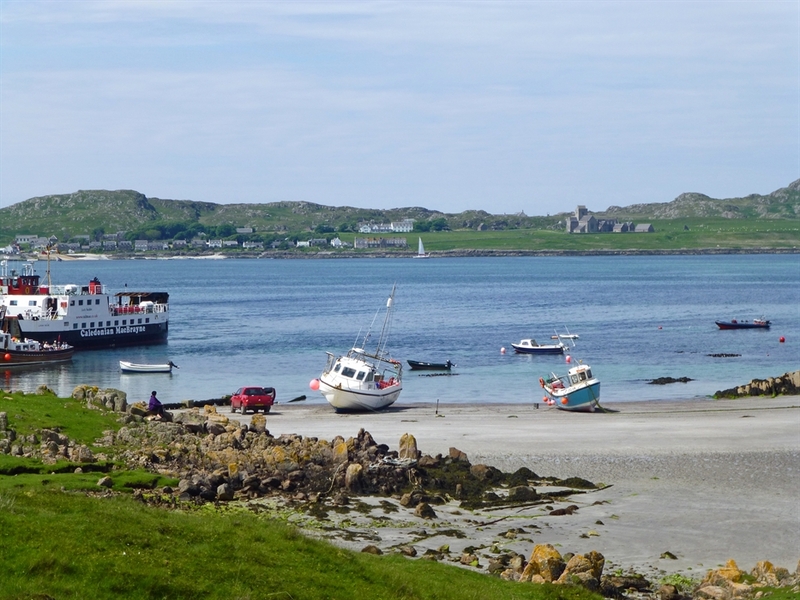 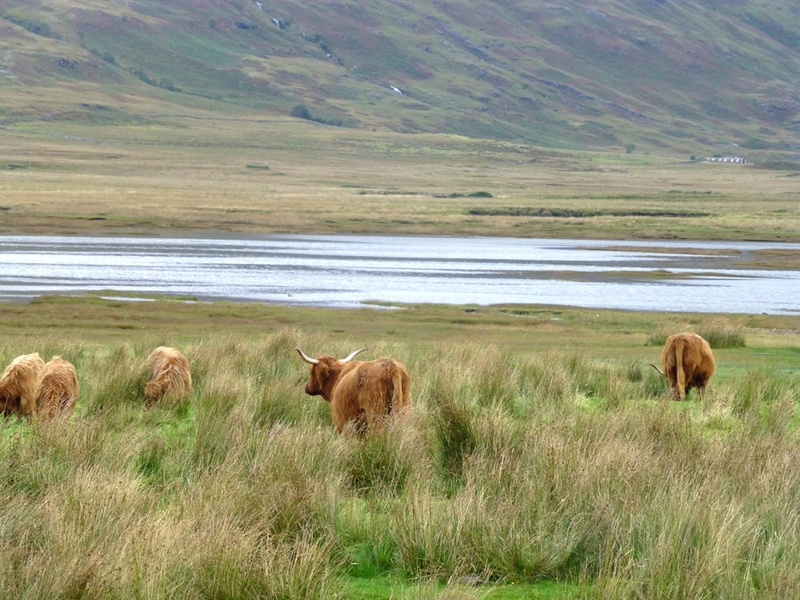 This area has some of the best white sandy beaches on Mull and there are many scenic walks to be discovered. 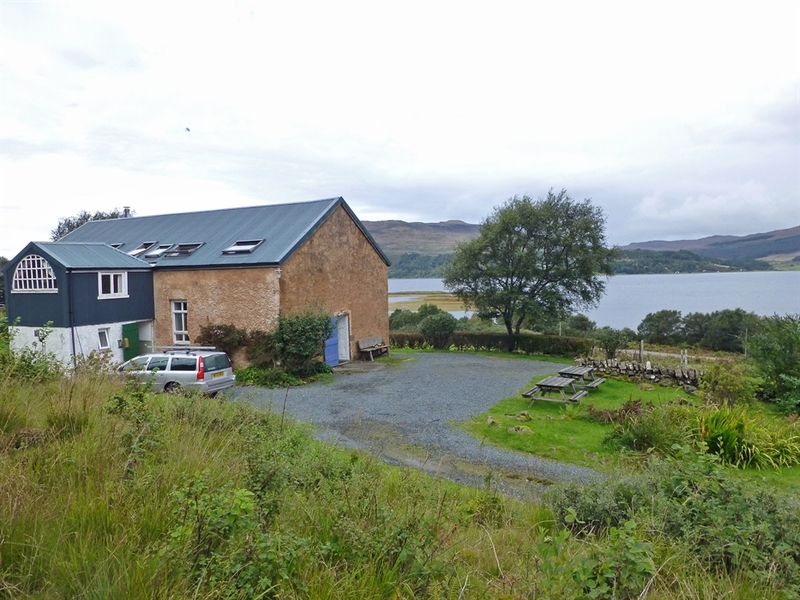 Loch Scridain is ideal for canoeing – boats can be launched from a sheltered shore beneath the house.